It wasn’t long after their Jumanji game came out that they surprised their fans once again with a huge jackpot that a fan of the slot games from Finland won – a prize which only NetEnt could provide – almost €2,75 million. This big winner played one of the NetEnt’s famous slot games called Hall of Gods. The winning spin cost the player only €2, and he was playing it on mobile when he managed to win this amazing jackpot. The platform he used to access and play the game was Paf.com. This is an amazing streak that NetEnt has started in 2018. Namely, this jackpot was their eighth prize that has seven figures. The previous jackpot happened in the game called Arabian Nights, where a player managed to win €1.4 million. Before that, NetEnt’s mega-popular video slot called Mega Fortune Dreams awarded one lucky player with as much as €4.25 million. It is an unordinary thing to see so many jackpots happen in so little time. Eight jackpots worth millions shows that NetEnt has become quite generous with their prizes – and we are only halfway through 2018. What would the rest of this amazing year bring for us? Everyone hopes for several more jackpots from NetEnt – that’s for sure. The last jackpot, however, distinguishes itself from the previous ones because there was an additional prize that the lucky player from Finland won. Namely, NetEnt started a campaign recently which is called Mega Million. The campaign is really simple – if you play Mega Fortune or Hall of Gods and you are lucky enough to hit the jackpot – you will also win additional cash for playing these two games. Therefore, the game awarded the lucky player with additional €350,000. This campaign does not only focus on jackpot winners. In fact, as long as the soccer World Cup lasts, the players will be chosen on a daily basis, and they will be awarded a daily prize of €3,800. 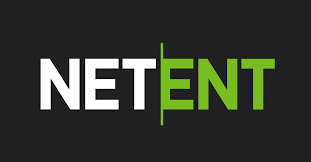 A press release from NetEnt was issued, and it involves their Chief Product Officer Henrik Fagerlund commenting on yet another jackpot. He stated that the jackpot was another perfect example of how games made by NetEnt could change the lives of many people. Furthermore, he added that the Mega Millions campaign would help them change the lives of even more people. Hall of Gods is a slot that has a 5×3 reel format and the 20 pay lines. This slot game revolves around the theme of ancient gods of the Norse mythology, and if you are a fan of Thor and Loki, you are going to love it. It involves many cool features and the powerful wild, scatter, and bonus symbols that can bring a lot of cash prizes. NetEnt is also continuing to release more slot games and improve their gaming system to deliver a better experience to the players all around the world.